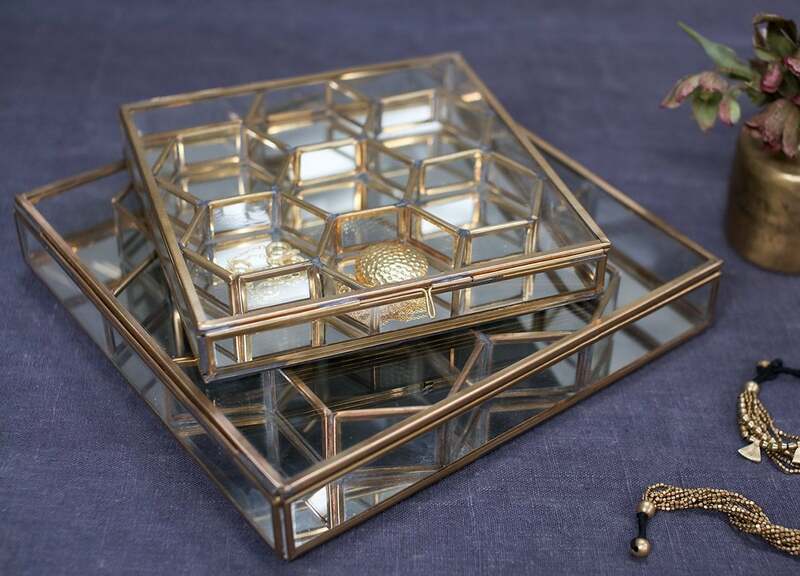 Beautiful handmade glass and brass jewellery/trinket box. 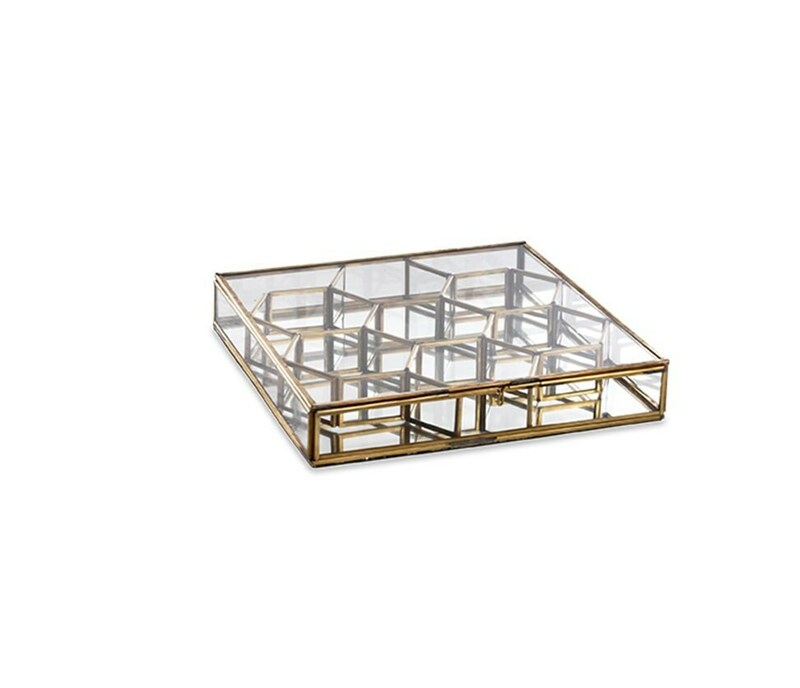 Honeycomb sections keep your treasures separate and tangle-free, while the mirrored base ensures they shine brightly. 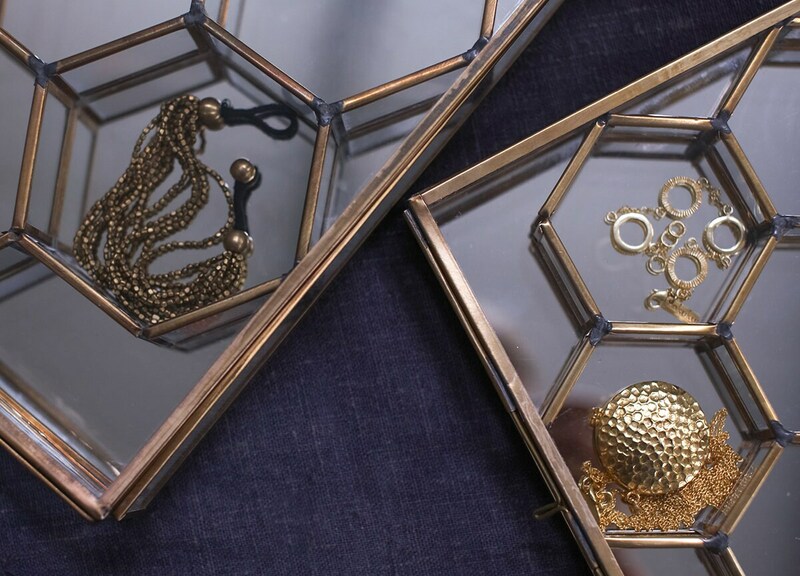 A perfect gift for any jewellery lover this Christmas.